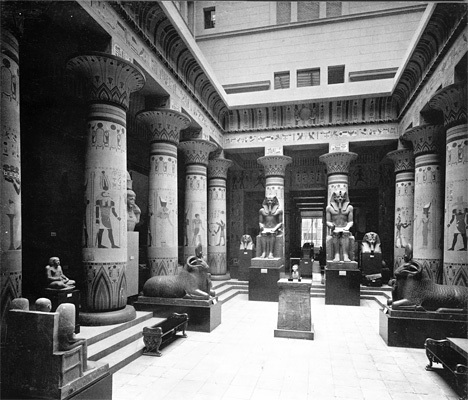 The Egyptian Museum is one of the oldest section of the former Royal Art Collection. 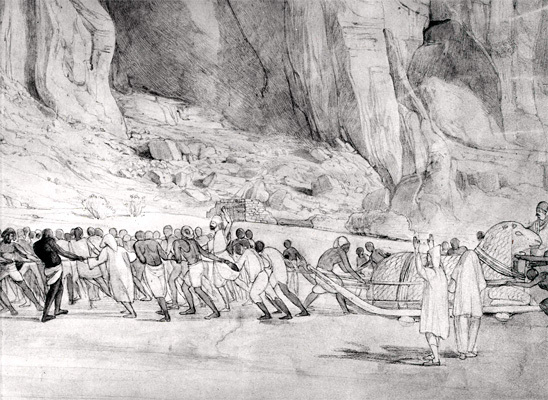 The Egyptian collection was founded due to the recommendation of Alexander von Humboldt in 1828 to King Friedrich Wilhelm III. .
A Prussian expedition travelled to Egypt and the Sudan in 1842-1845 and received ca. 1500 important objects as a present from Mohamed Ali . 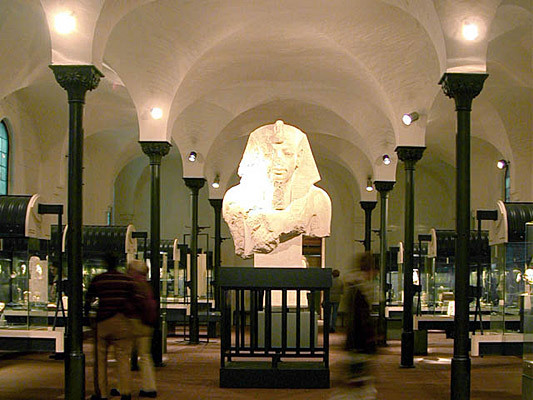 The Egyptian Collection was able to move into a museum especially build for it in 1850 - the'Neues Museum', located on the Museums Island. 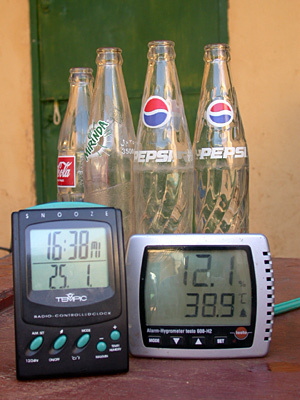 The collection grew in the following years due to purchases, gifts and excavations. 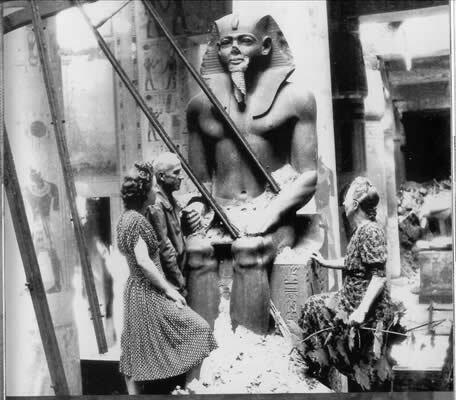 The most important excavation took place in the years 1911 to 1914 in Amarna, the finds of which greatly enhanced the collection. The second World War had dire consequences for the collection. 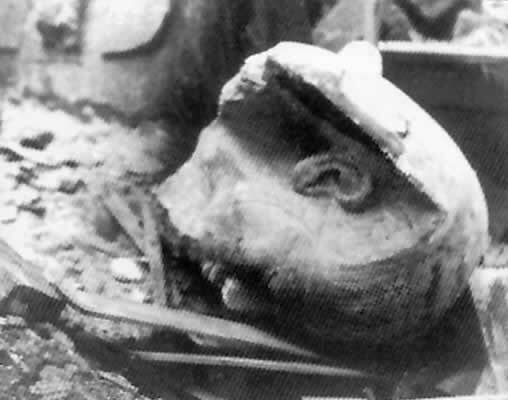 The 'Neues Museum' was much damaged and many objects were burned. 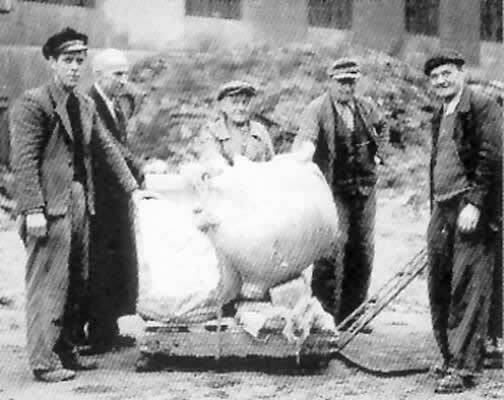 The remaining objects of the collection were transferred to different parts of the city for safe keeping; after the war this resulted in the division of the collection in two parts. The Papyrus Collection presented not only the classical ancient Egyptian literature such as the Book of the Dead but also Christian and Arabic literature. 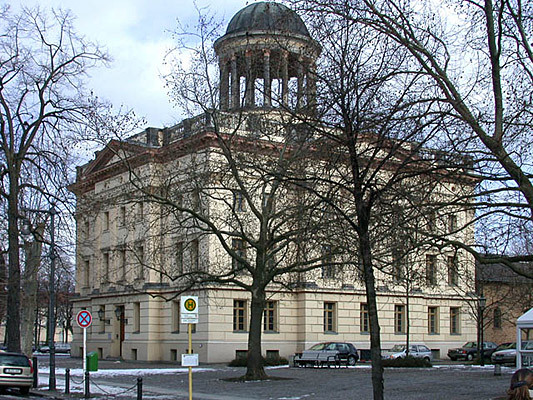 The objects which were returned to West Berlin after the war received a permanent home in 1967 after the renovation of the house of the royal guards (Stüler building) in Charlottenburg across the street from the castle. 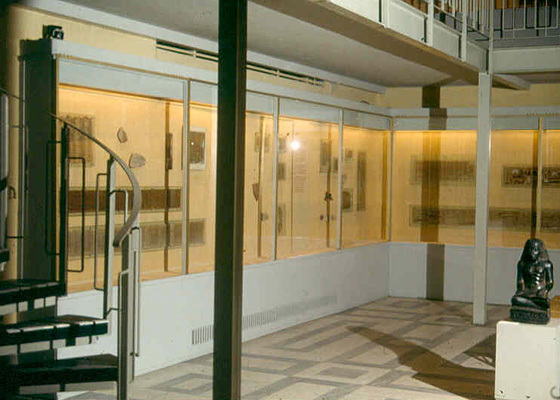 Before this date, the bust of Nefertiti and some other important objects had been exhibited in the Art Museum in Dahlem. Through the renovation of the Marstall in the 1970's enough space was created for the relief blocks of the monumental gate of the Kalabsha Temple which arrived in 1977.The blocks were given as a present by the Republic of Egypt to Germany for the participation of the German archaeological institute in the salvage of monuments during the building of the Aswan Dam. 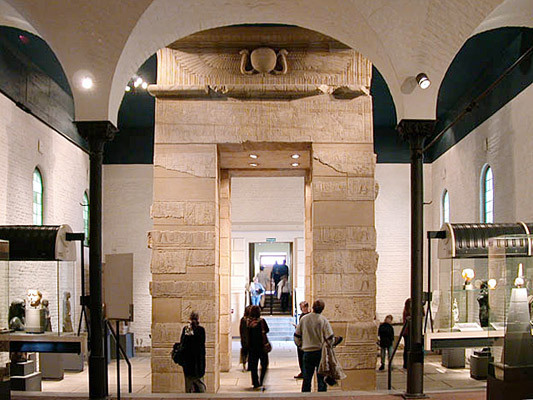 After the organisational reunion of all the state museums under the umbrella of the Foundation of Prussian Cultural Heritage the Egyptian Museum, at first, continued operation at both locations. 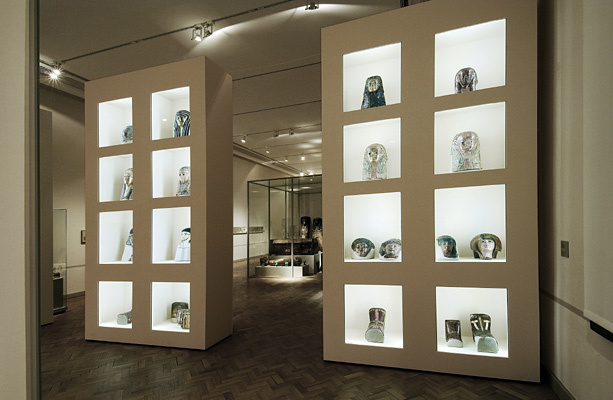 The exhibition concepts where adjusted: in Charlottenburg the Amarna art collection was the centre of the exhibition whereas in the Bode Museum religion and cultural history as well as the papyrus collection were the main themes. 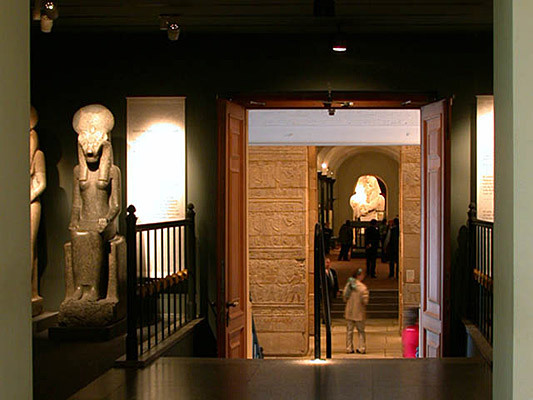 Due to necessary renovations the Bode museum was closed in 1998 and many of the larger Egyptian objects were removed to storage magazines. 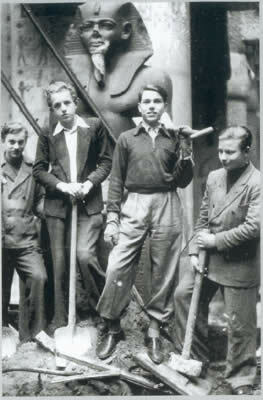 Only some few of the objects were able to be of integrated into the exhibition in Charlottenburg. What's new: Article "Abschied und Rückkehr"
In 1995 , financed by the German Research foundation and by the Society for the Promotion of the Egyptian Museum Berlin excavation were begun in Naga in the North-Sudan. The project concentrates especially on the monumental temple of Amun and the small Hathor chapel, both of which are being excavated and restored. 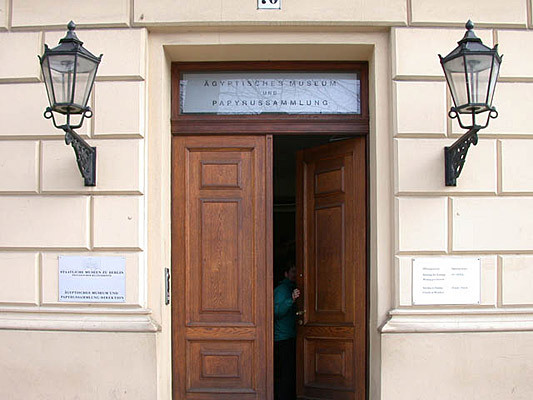 At the end of Feb. 2005, due to renovation and rehabilitation work at the Stüler building in Charlottenburg the Egyptian Museum was closed and reopened in August after the move to the Museum Island into the 'Alte Museum'. 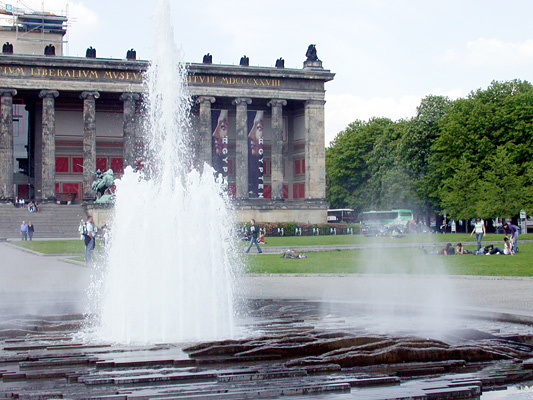 The move was financed by the board of trustees of the Museum Island. 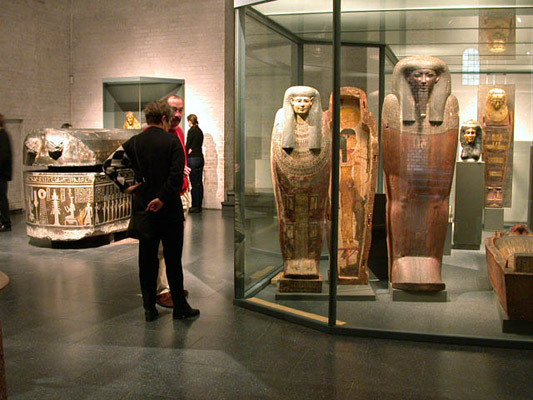 There the Egyptian Museum presented itself until its final move in 2009 back to its original location in the 'Neue Museum' with a new exhibition concept and design. 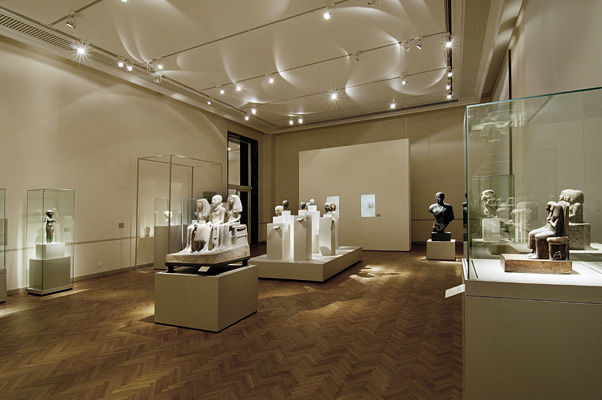 Exhibition room in the "Altes Museum"